The environs of the famous spa town of Meran are particularly fascinating due to the mild climate, attributing the landscape a Mediterranean flair. In the traditional side valleys, however, you may get to know the alpine characteristics of the holiday region. The variety, which develops through the interaction of the Mediterranean temperatures and of the alpine landscape, transform the holiday region of Meran and environs into well-known destination at any season. It does not matter if you love hiking, cycling, skiing or enjoying the cultural and culinary events of the season – the city of Meran and its environs offer the right things for every taste. In Meran and environs, springtime starts earlier than in other regions of South Tyrol and covers the scenery with a magical white and pink floral dress. This is the right moment for enjoying the first warm sunrays. Walking or biking along the countless flowering apple trees, you may experience the impressive natural scenery at first hand. Furthermore, it is recommended to walk along the promenades or the unique “Waalwege” around Meran. In the wonderful Gardens of Trauttmannsdorff Castle, spring offers a magnificent blossom, but also in summer and in autumn, they are worth a visit. The apple blossom is particularly beautiful in places such as Lana, Marling, Dorf Tirol, Algund, Naturns, Partschins, or Schenna. 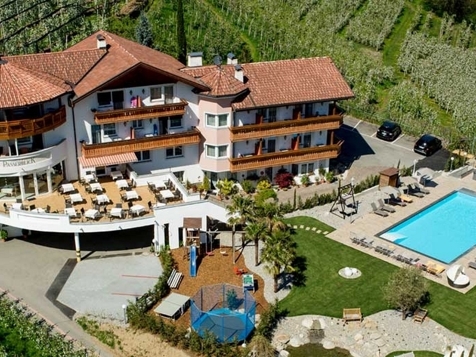 Bright sunshine, warm temperatures and a large offer of holiday activities guarantee a summer full of unforgettable experiences in Meran and environs. In the unspoilt valleys of Ulten, Schnals, in the Nature Park Texelgruppe and in the traditional Passeiertal valley, offer numerous hiking paths with different degrees of difficulty – from comfortable hikes on pastures to high-level trails and glacier tours. 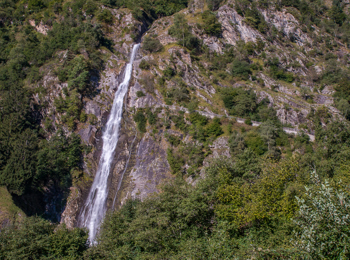 As well, mountain bikers and cyclers find what their hearts desire in the surrounding area of Meran. A well-established network of cycle paths and exciting mountain bike trails offer entertainment for the whole family. Who loves horse riding should definitely visit Hafling – the homeland of the Haflinger horses. After practicing sports, a little refreshment in the pool or in the swimming pond is ideal. Moreover, you should absolutely visit the thermal baths of Meran, which offers a spacious park with sunbathing lawn in summer. In Meran and environs, the golden autumn represents the time for the apple and grape harvest. Moreover, many culinary and traditional events take place during this season. Gourmets and wine connoisseurs find what their hearts desire in occasion of the Törggelen, the Meran WineFestival & Culinaria, as well as at VinoCulti. During the Grape Festival, you may enjoy delicious culinary delights and folkloristic music and marvel at traditional costumes. Lovers of classical music should not miss the Music Weeks Merano. In winter, lovers of winter sports may choose among various family-friendly skiing areas. Meran and environs offer skiing areas at Meran 2000, Schwemmalm, Vigiljoch or Pfelders. The glacier skiing area of Schnals, with many demanding slopes, is partly open also in summer. After a day in the fresh winter air, you may warm up in the thermal baths of Meran or relax during a massage. During the Advent season, you should not miss the nostalgic Christmas markets in the surrounding area. The Christmas market of Meran is particularly famous.